Cookie tray ready for delivery! My Christmas baking list this year includes chocolate breads, nine different cookies and two candies. I am often asked why I bake so many goodies for Christmas. It's only me and my husband after all. The answer? I give fresh baked goodness to my family and friends. I also give baked gifts to other people who impact my life throughout the year like the staff in the doctor's office, the vet's office and the dog park. Family and friends are easy to understand for most people but the staff at the vet's office? Well, sure. My dad always brought home gifts this time of year that he had received from his patients. 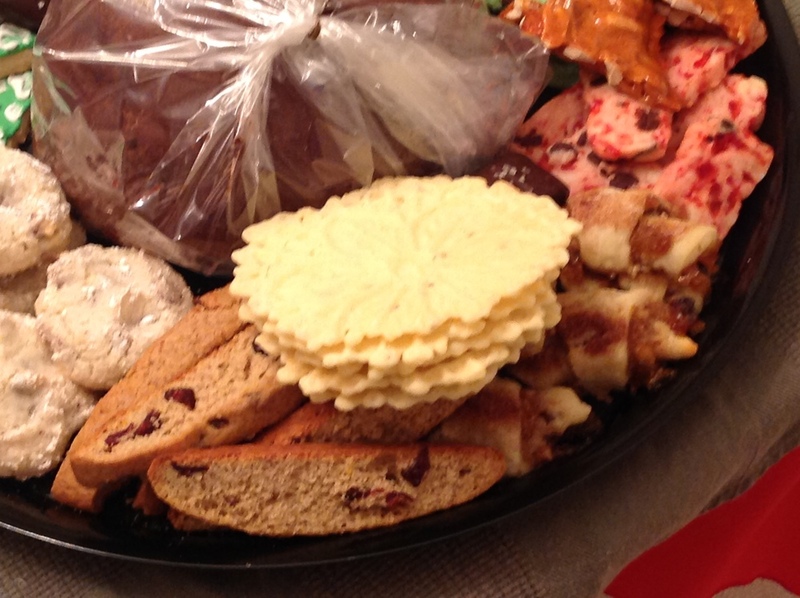 A box of chocolates, a bottle of home made holiday spirits, cookies or bread. It was a nicwe way of letting my dad, his nurse and his receptionist know that their work was appreciated. I like that idea so as I have made my way in the world, I have done the same thing. 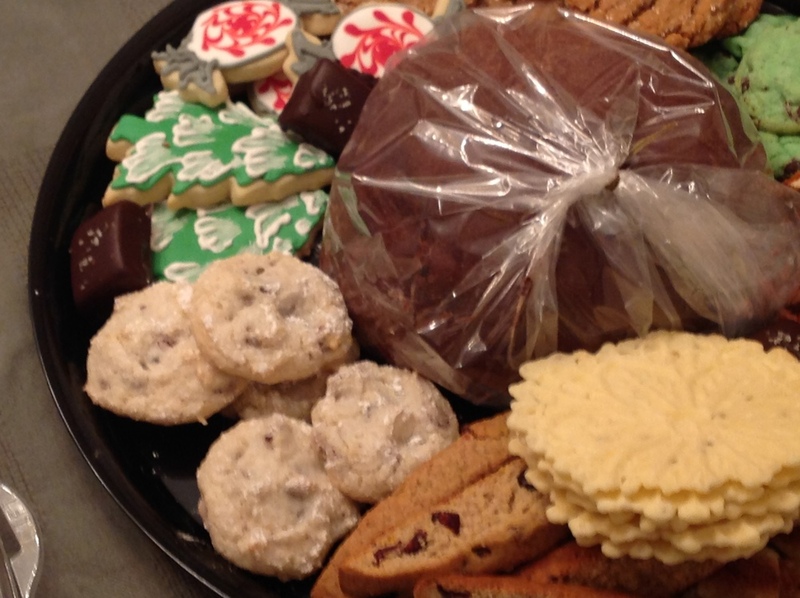 Every December, I put together trays of my home baked treats and I deliver them to the people who touch my life during the year and make it better. I will make my final delivery today. It is a sweet way to let those folks know that I appreciate them and their willingness to share their talents with me. Do you share you baked goods with others this time of year? Who will you bake for today?